There has been a castle at or around the area of Seagate for hundreds of years. On the 9th of July 1297 the Treaty of Irvine was signed at Seagate castle; a plaque on the remaining ruins commemorates this fact. The earlier castle was most likely a simple wooden fortification. In the 14th century Irvine’s coastline was further inland, and the town’s harbour was at Seagate (hence the name). It was at this time that a permanent castle was built, possibly 1366 or 1386. This castle was a simple stone tower, incorporating a watchtower for commanding the activities of the harbour. This castle is believed to have been built by Sir Hew of Eglinton. The Eglinton family re-built the castle in 1565 but it was not built as a fortified castle and as such was not garrisoned. The newer castle incorporated part of the stone tower of its predecessor. Designed to be a place of residence, more of a mansion than a castle, it is often referred to by historians as a ‘Palace’ as apposed to a castle. Various members of the Eglinton family continued to use the castle as a townhouse, until it fell into disuse during the 18th century. The town council took action to conserve the castle as early as 1882, when piles of rubbish and rubble were removed from the castle grounds and buried at the Low Green. The site became a national area of conservation in 1974. During the Town’s Marymass festival the procession stops outside the castle grounds and sings ‘Auld Lang Syne’. This is a tradition first started in 1864 by the Carters association. 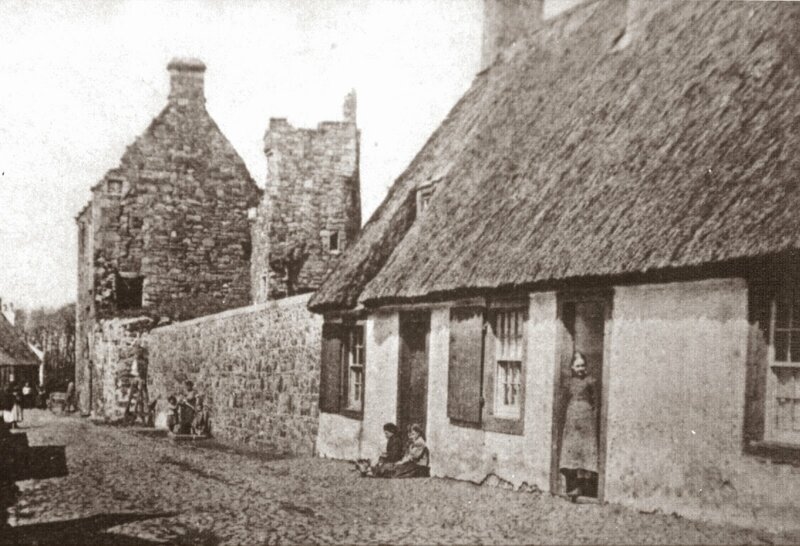 The Seagate,”Via Marina” or “Sea-Gait”, is one of the oldest thoroughfares in Irvine which retains its medieval name. Until the 16th century it was the main route between the town and the harbourside. Today the street comprises a mixture of modern and older houses some of which date back to the 18th century. The most famous building in the Seagate is Seagate Castle.